The Relish collection honors everyone's favorite vintage storage jar. Filled with delicious fragrance, Relish is offered in 9 colors, two sizes of candles, vintage bottle diffusers and hand washes. Upcycle Paddywax Relish jars and bottles to store all of life's treasures. Paddywax is an artisan candle company and industry leader in hand-poured, fragrance-infused, soy wax blended candles. Dedicated to creating something lovely for every home, their collection combines innovative fragrances and creative designs for every gift-giving occasion. 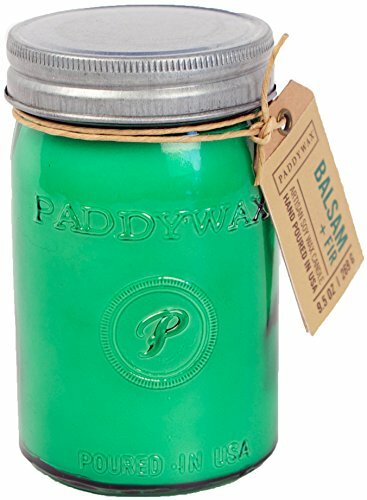 Paddywax is based in Nashville, Tennessee and all their candles are made in the USA. From fragrance throw to burn time, each custom recipe is made to deliver the best experience through the use of all natural ingredients. Variations in color and finish are not flaws, but are inherent to the unique handmade process. Paddywax takes pride in the fact they never use synthetic fragrance. Every item is packaged with precision, each bow and label is applied by hand, giving every product a human touch. Paddywax believes that beauty lies in the details and knows you, too, will fall in love with Paddywax.